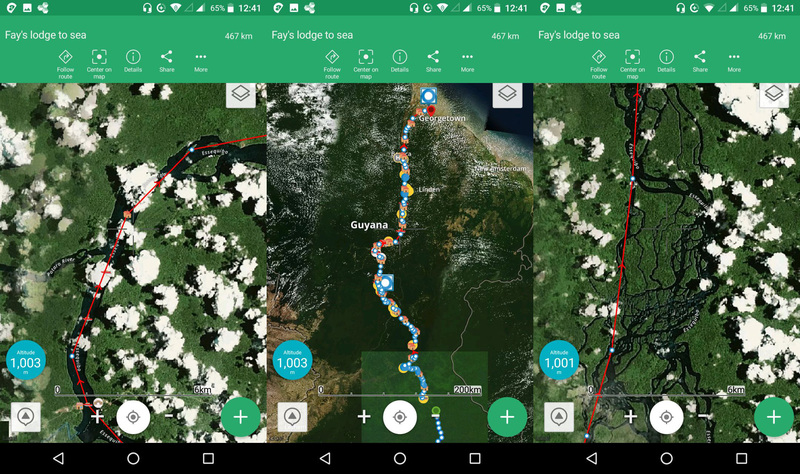 How the Land Rover Explore’s ViewRanger App proved invaluable to a team of explorers making the first descent of the Essequibo river. 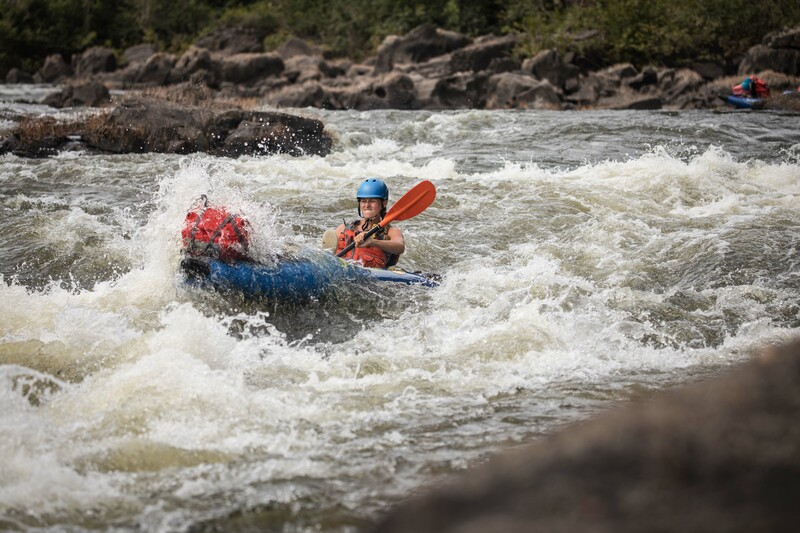 Shortly before joining an all-female team of explorers paddling a remote river through the jungles of Guyana, South America, adventure sports filmer and photographer Jon Williams went through his equipment. This time there was a new edition to his kit list – a Land Rover Explore – and he wanted to get to know it before taking it to the jungle. Curious, he opened the ViewRanger app and thought he’d take a look at the river that was to be his home for the next five weeks. He plotted the route in the satellite maps view and then – as an afterthought– decided to save it offline. The girls were relying on traditional GPS devices with only a basic mapping view, and some paper maps. The system worked fine, but neither were much help for navigating tributaries, channels and islands of the river. “If you take a slightly wrong turn you could lose a whole day doing a detour,” says Williams. 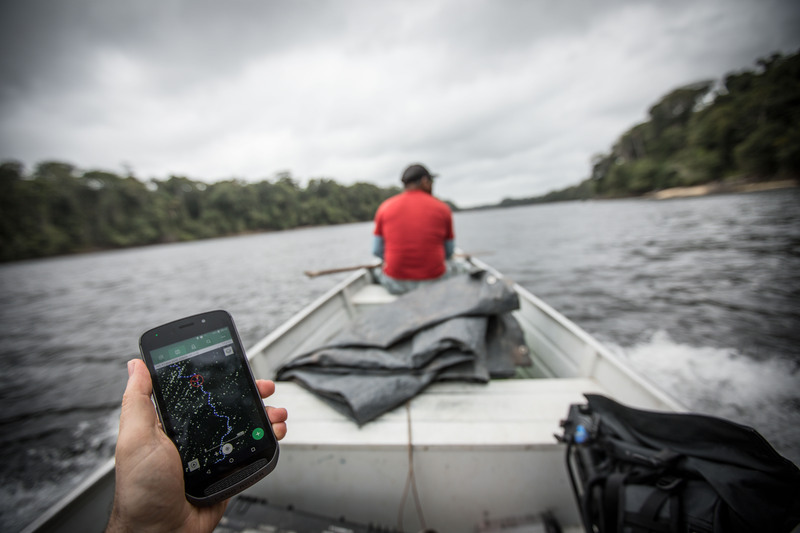 That’s where the satellite maps he’d downloaded in ViewRanger came into their own. “Because they were more detailed, we could see where the islands would be and what would be the quickest route,” he says. Williams also used them to plan the best shooting angles for the day and any interesting places to shoot, such as villages or crossings. Williams, 32, had joined the expedition to document the efforts of its explorers, the formidable trio of Laura Bingham, Ness Knight and Pip Stewart who between them have rowed and sailed oceans, crossed continents and cycled around the world. 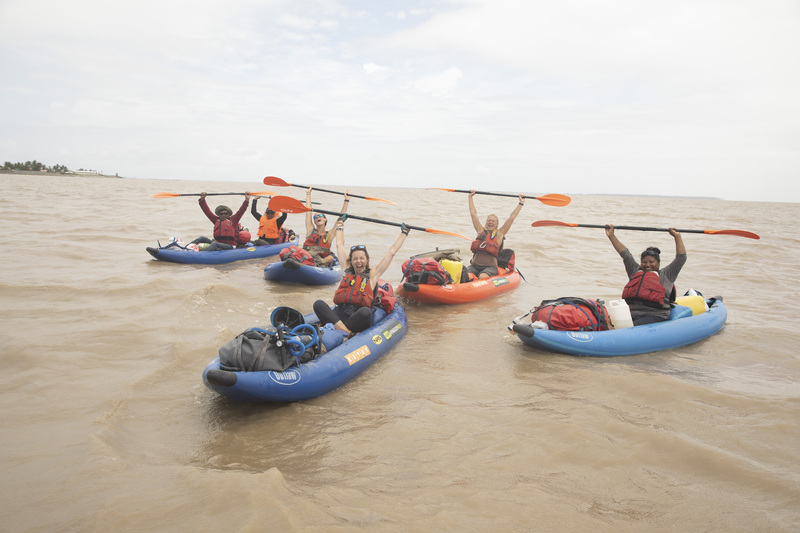 Their aim was to make the first complete source to sea descent on kayaks of Guyana’s Essequibo river, a distance of over 1,000km, supported by guides from the local Wai Wai tribe. Setting off at the beginning of February, they completed the journey in 72 days, arriving at the Atlantic on April 17. The first phase focused on locating the source on foot. Williams then joined them on the river for the second phase of the voyage. He says it was an incredible experience. The girls weren’t the only things Williams was impressed by. The jungle may have exacted a heavy toll on the team’s bodies but it was a destroyer of electronic equipment – except for his Land Rover Explore. Explorers accept that equipment is going to fail during an expedition, but there is only so much you can fix with a roll of gaffer tape. Anything battery powered is particularly vulnerable to the constant humidity, downpours and extreme heat. Williams had to fight constantly to keep his camera equipment functioning. It was a struggle on top of an already tough workload that would begin with him getting up before the girls to film them getting ready. He needed to be one step ahead to be able to shoot them at key moments throughout the day, which meant being super organised. But as he discovered, some devices handled the weather extremes better than others. The casualty list of broken expedition gear included a laptop, two iPhones, and a cine camera. Williams’s iPhone, which he was quite attached to, was one of them. Unlike his cameras, which had to be kept in waterproof Peli cases, he was able to keep the Explore to hand, whether out on the kayak or stuffed inside a wet life jacket. “I never had to worry about it,” he adds. 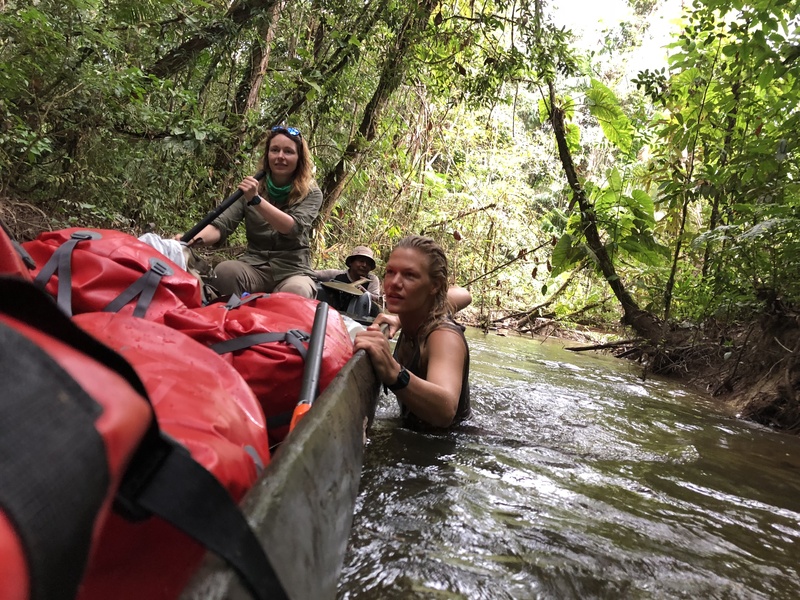 The trip had its hairy moments, he says, including a close encounter with a caiman (a South American cousin of the alligator) that showed an interest in Williams while he was alone on the river bank. “That was a heart racing moment,” he says. A jaguar also paid a nocturnal visit to their camp one night.